Get ready to grab the sheerness and glam for you this winter/ spring season with proud presented for you by Asim Jofa, it is another mouth-watering and chic winter collection by all its fashion lovers. He is known to be elite because of its luxury designs and of their high prices that a normal person can’t afford. Same thing happens with this brand, he has launched luxry chiffon collection in winter but it was very expensive and few people can buy them. 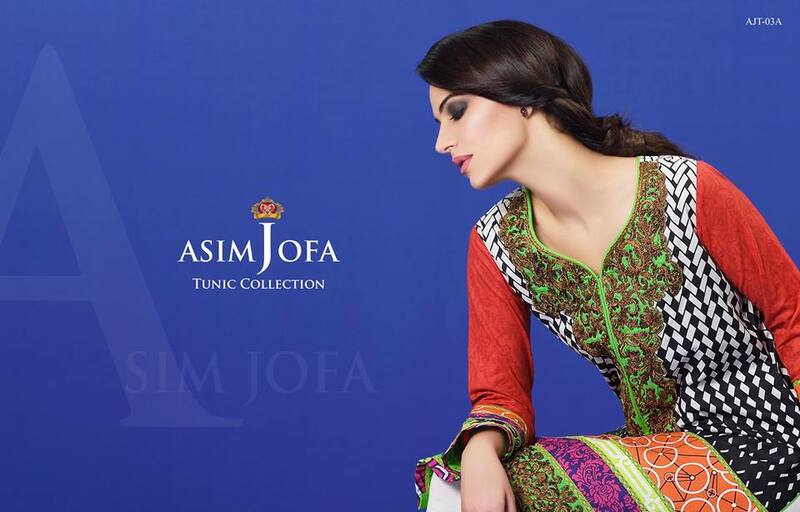 In this spring he has launched Asim Jofa Tunic/ Embroidered Kurties Collection 2016-2017 and its enough to grab the attention of ladies and become a reason of competition for other brands. 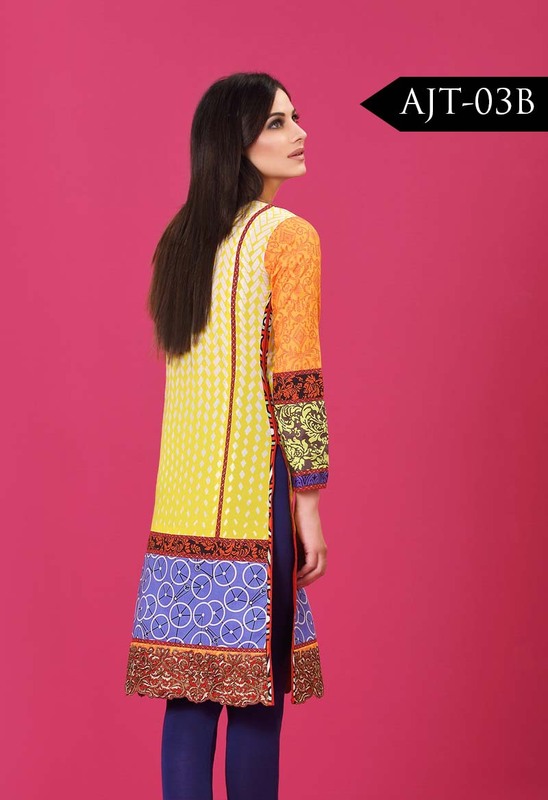 Asim Jofa’s tunic collection is a playful style in ladies wear because the colors used in this assortment are very vibrant and classy and are embroidered with motifs and patches on sleeves and front and back. Tunic’s are beautiful and most demanding among young girls for casual wear or office wear. This style of dressing can easily enhance the elegance and beauty and make your look more gorgeous, young and stylish. Moreover, its dramatic embroidery and stylish trims and cuts and its motifs make its statement piece. 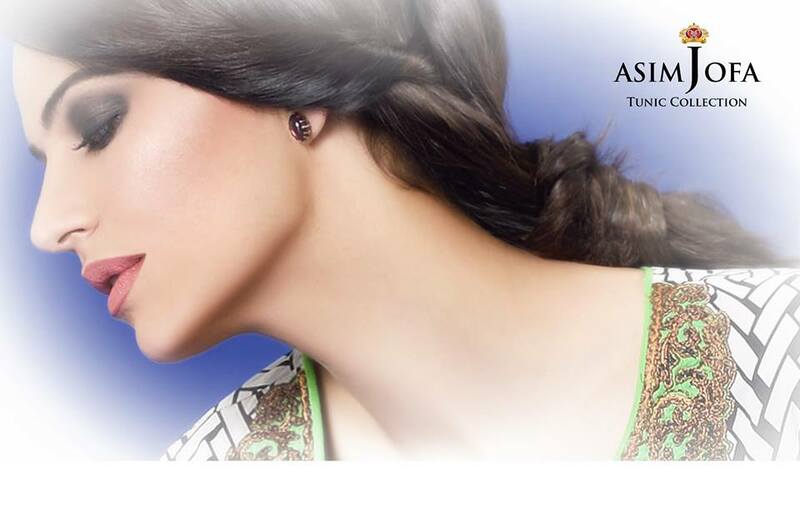 Now put your foot forward in Asmin Jofa’s tunic winter assortment that is elegant and awe inspiring. Here we will discuss in detail about every dress. The combination of purple and green add an interesting effect to design thak makes you able to stand out of the crowd. 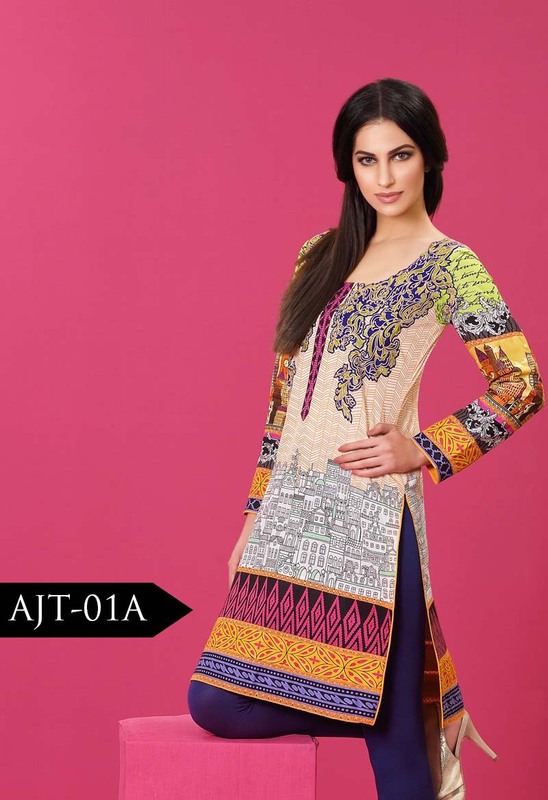 Makes your style quotient sky high with beautiful design of AJT 4A because it is piece of fascinating colors and embroidery. AJT 2B Green possesses the magic that will transform your appearance into bewitching and glamorous that takes inspiration from nature. When you want a crowd of admirers that step out by wearing AJT 2A light blue because it have embroidered panel and printed design that make this dress supreme at all for your gatherings. AJT 3B make your wardrobe collection adorable, it’s attractive embroidery and distinctive qualities made this different. Black shade always helps us to make us look roaring and AJT-3A is vibrant color paired with embroidery makes it more stunner. AJ6-6B warming this season with multicolors and this printed tunic will oomh your look. AJT-6A has been just of attraction for its all fashion lovers and it is according to this funky season needs. If you are a true lover of art, music, travel and history then this dress shines through this print. It is most demanding among young girls. One if the best designers "Asim Jofa" presented its latest fall winter tunic collection 2016 for women. These are adorned with embroderd borders and sleeves.